Contractor is a legal entity or private individual, your company works with. Each contractor in ELMA has a page. On this page you can view all the information about the contractor. All the comments and actions with the contractor are displayed on the Activity tab. To add a comment, click Actions – Add Comment. 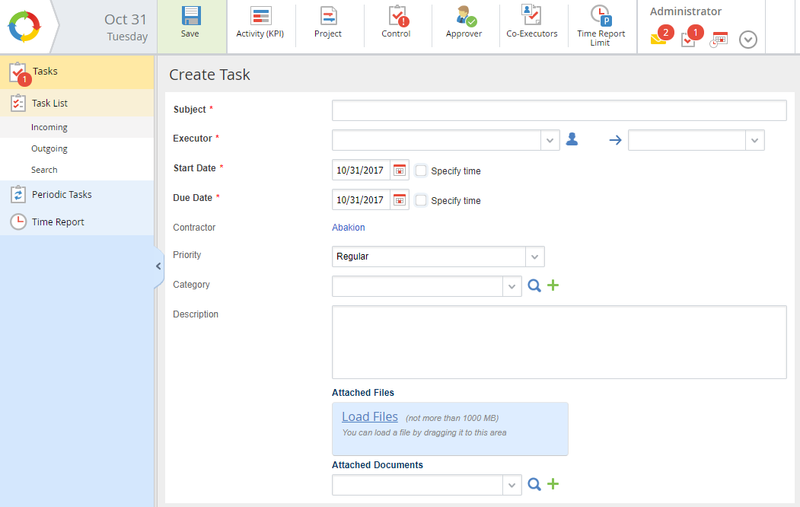 All the Relationships with the contractor (mail, meetings, calls) can be logged to the system and monitored right on the contractor page (to add a meeting/mail click Actions – Create Mail/Meeting, to add a call, click Call). 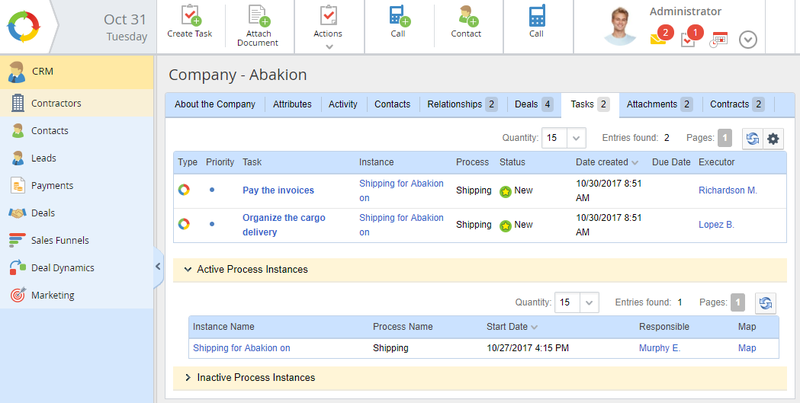 The Call button will be available if the CRM+ module is activated. 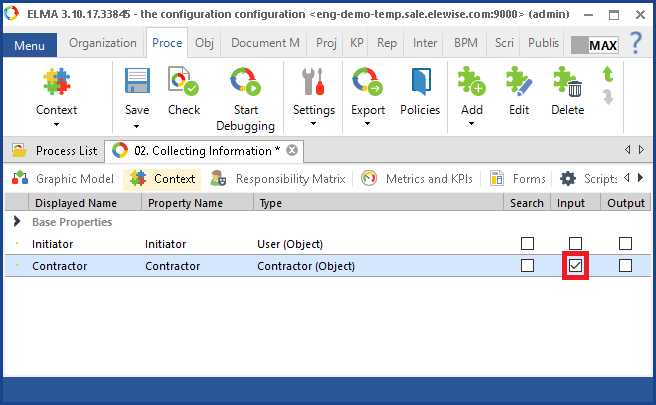 This feature allows making an outgoing call to the number, specified in the Phone Number field of the contractor page (configured in Administration – System – System Settings). To learn more about outgoing calls, see this Help page. Comments added to relationships are displayed on the Relationships tab of the contractor page. To learn more about relationships, see this Help page. The contractor page displays the list of deals, made with this company (to add a deal, click Actions – Create Deal). To learn more about deals, see this Help page. 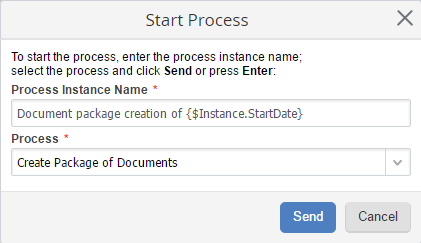 You can start a business process from a contractor page. 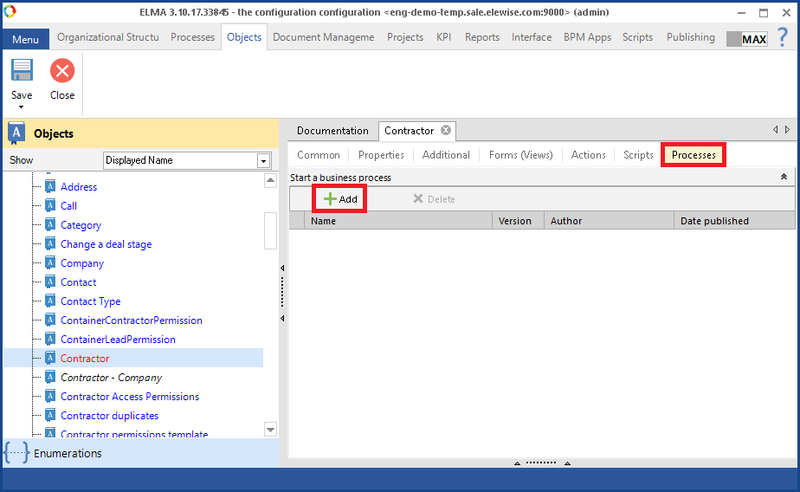 First, you need to create a business process in ELMA Designer. this variable is marked as Input.